Corporations are probably going to resist paying more taxes, and most politicians are too stuck in the old socioeconomic narrative to realize the seriousness of the situation. You may also acquire green points from planting trees. Just give your phone access to the GPS coordinates where you are planting the tree, and take a photo of the tree you are planting. … that wasn't easy, you know? It had a major studio behind it. Maybe we could get Toys for Bob to develop this game? They should be just as capable as the studio that developed Pokémon Go. It would be nice to have Paul Reiche III working together with Bret Weinstein and Yuval Noah Harari. If anybody has a chance of making a game to save mankind, I would bet on those 3 guys. I am a bit disappointed because Paul Reiche III didn't reply to my email where I asked him if he was interested in developing this game. So I am thinking maybe I need to do all of this by myself as usual. I have continued to develop the concept. If people are rewarded with cryptocurrencies for saving this planet, they might be more eager to do so. 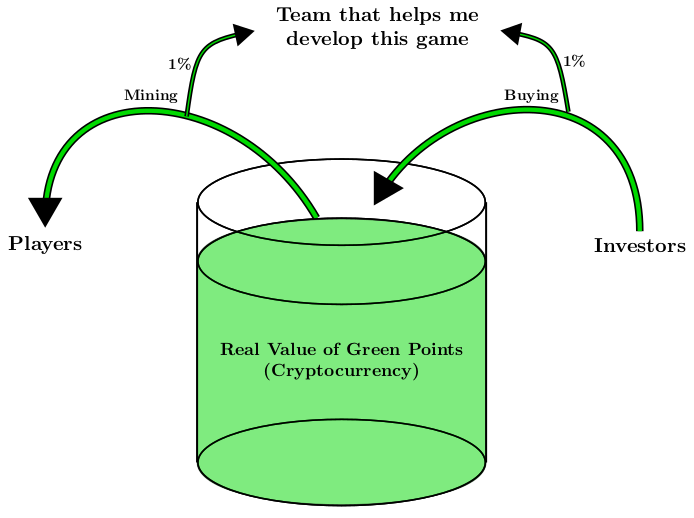 If anyone of you has experience with cryptography and cryptocurrencies, I need a programmer with such skills to develop green points and orange points into cryptocurrencies. I will give 1% of all the mined cryptocurrencies and 1% of all the money used to buy these cryptocurrencies to the team that helps me develop this game. Here is a video I made envisioning some of the aspects of how we could throw trash in an augmented reality game. The real game would, however, be much more intricate than what I showed in this video. I will give the moderator of this forum (Death 999) a username and password to access this folder. Fair warning: I'm not helping. The thing is. I cannot necessarily have this information openly available on the Internet. I don't expect you to do anything on the project, but I thought maybe you could give the password and username to people from here that might be interested in working on such a project. I think there should be enough people in the world that might be interested in getting a steady income of 1% of all that is mined and purchased of a new cryptocurrency. The real value of this cryptocurrency is also going to be determined partially by the quality of the game. Anyhow. If none of you are interested, I am certainly not going to have any trouble finding other people that are interested in this other places. Since the USA doesn't trust that Russia and China won't get them, USA feels forced to get them. Since China doesn't trust that USA and Russia won't get them, China feels forced to get them. Since Russia doesn't trust that USA and China won't get them, Russia feels forced to get them. There is NO WAY to stop the development of killer robots unless we can make the superpowers trust each other. The US already seems to be on its way to become a Russian satellite state. If that happens, Putin will get complete control of all your personal data, and use it to determine your usefulness. So there will be no USA versus Russia situation soon enough. Thus, you only need be concerned with a robot conflict involving the Chinese. Progress! Yes! Let us all join the Empire of Putin. USA donated their first nuclear bomb in 1945. Only 4 years later (in 1949) Stalin donated the first nuclear bomb in Russia. This is the problem with new weapon technologies. It is impossible to keep it to yourself forever. Anyhow. 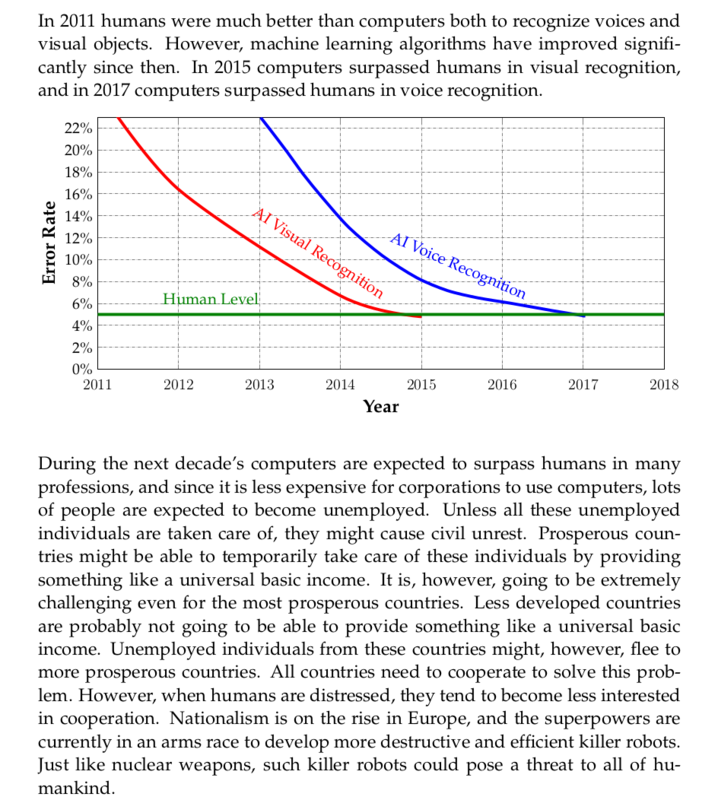 These killer robots are going to completely transform warfare because one single individual (such as Putin) will be able to control millions or billions of these all by himself. Power has never been as concentrated as that before.